to Home Care vs. Assisted Living? Most seniors want to stay in their homes forever. For some people that can work out for them. However, depending on the individual they may benefit from moving into an assisted living community. In this article, we’ll look at in-home care vs. assisted living. Seniors still living in their homes can receive in-home care by skilled nurses or caregivers. This service provides seniors with a caregiver that can help with activities of daily living in their own home. This type of care is non-medical and seen more as companionship. Caregivers can engage seniors in activities and provide them with social interaction. Caregivers can give peace of mind to families with loved ones who have dementia or Alzheimer’s by providing supervision. In-home care companies can vary. They generally provide services such as house cleaning, meal preparation, bathing, dressing, grooming, and more. Additionally, caregivers can assist with transfers. This helps create safe environments at home to aid fall prevention. Care is available 24 hours a day, seven days a week, and some services offer options for live in help. This level of care is generally privately paid and billed on an hourly basis. Private duty nursing care is a service provided one-on-one by a Registered Nurse or Licensed Practical Nurse in a senior’s home. Seniors with disabilities, injury or chronic illness can benefit from this type of care. However, a doctor must prescribe this type of care. Unlike in-home care, private duty nurses provide care for diseases, traumatic brain injury, administering medications, vital sign monitoring, feeding tubes, catheters, and care needs like that. This level of care is long-term and is available 24 hours a day, seven days a week. People often use in-home care and home health care interchangeably. However, the two are very different types of care services. Home health care is physician-directed, short-term care that assists seniors recovering from a hospital stay, injury, or illness in their home. Seniors can receive physical or occupational therapy, medical social work, speech language pathology or home health aide. A doctor must prescribe this type of service and it us available on a short-term basis. Seniors who need assistance with activities of daily living can benefit from living in an assisted living community. Residents of assisted living communities can live in a worry-free environment knowing their rent is all-inclusive. A team of cooks cater to residents’ likes and dietary needs in each meal they enjoy within the community. Apartments may also feature a kitchenette with amenities such as a sink, microwave, and refrigerator. In addition to 24-hour emergency call systems and a pendant, assisted living provides full-time staff. This also includes licensed nurses, to care for residents. Assisted living communities understand that care needs vary by individual and have various levels of care available for residents. Should their care needs increase, the level of assistance they need may also increase. Support for activities of daily living includes bathing, using the restroom, grooming, dressing, and so on. Additionally, transportation for doctor’s appointments, and running errands outside the community is available. The activities offered in assisted living provide opportunities for socializing and cultivating friendship with other residents. Residents can also enjoy activities outside of the community. Many activities directors also take residents on outings to the movies, lunch or dinner, theatre, and the list goes on. If losing your independence is something that worries you about assisted living, know that there are plenty of opportunities for you to maintain your independence. 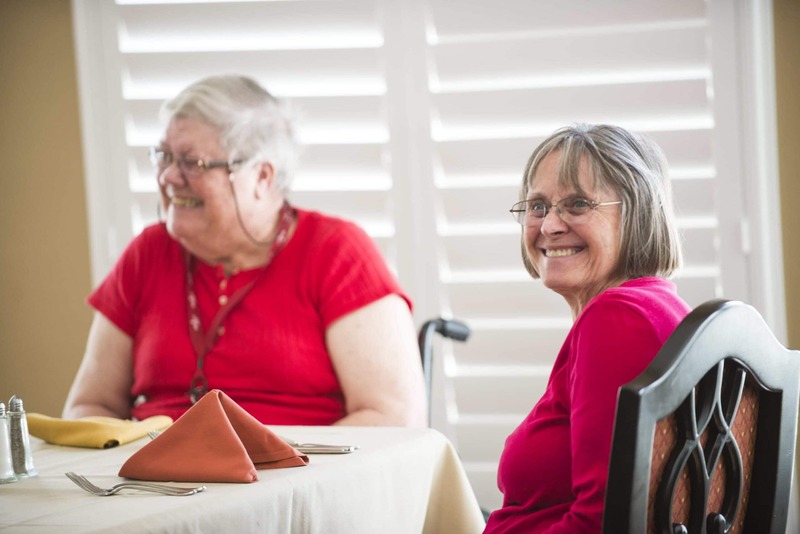 Senior can thrive in assisted living at Renaissance Villages in Rancho Belago or Murrieta. Rent at Renaissance Villages is all-inclusive for residents. This includes utilities, social activities, exercise and wellness programs, laundry, housekeeping, and more. We design our resort-style assisted living communities to meet resident care needs. While their apartment is their own, we encourage residents to consider the community as a whole as home. The common areas located throughout the community are available for residents and their families to make more memories here. Our activities directors provide fun, engaging, and educational activities for every day of the week.